New York Painting Services is a painting contractor that supplies a number of services to commercial businesses and residential homes within the New York and New Jersey borders. 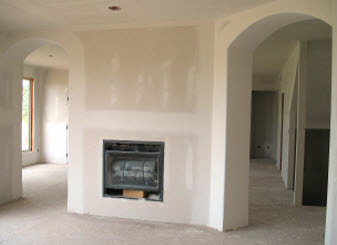 We are fully licensed and insured to offer professional quality at an affordable cost. 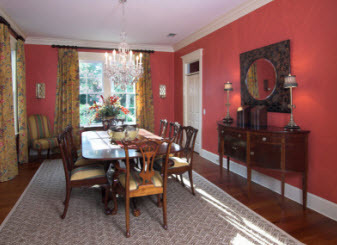 New York Painting Services specialists possess advanced training, years of priceless experience, and extraordinary skills that make them more than qualified to tackle any task associated with our services. With New York Painting Services, you can expect a higher quality of service as we uphold high moral standards, exceptional work ethics, apply friendly customer service, and deliver superior workmanship on all services rendered consistently. 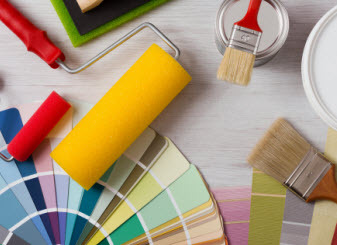 Additionally, New York Painting Services experts utilize premium quality products, tools, materials, supplies, and equipment available only to licensed professionals to ensure our customers receive nothing less than maximum results. New York Painting Services has been taking care of the educational institutes and facilities throughout New York and New Jersey since 2004, with so much experience, we can get apply our trade to make the renovations, remodel, and repairs you desire to ensure efficiently running facility as well an aesthetically inspiring one too. New York Painting Services services include: Exterior Painting, Interior Painting, Wallpaper Removal and Installation, Wall Covering Installation, Crown Molding, Baseboard Installation, Drywall Repair, Replacement, and Installation, Cabinet Refinishing, Flood and Water Damage Restoration, Power Washing, and so much more. New York Painting Services exterior painting service designed for primary and secondary school facilities across New York and New Jersey is in place to refresh your school’s exterior. It provides a protective barrier and fresh, bold look to ensure your school looks noticeably vibrant. During our consultation service, we are happy to discuss pricing, project duration, and what to expect. Curragh painting interior painting offers your school facility a number of options. From getting custom murals, to school colors, whether you are looking to get a fresh coat, or in need of a serious renovation, our team of experts has you covered. Our top-quality paint is applied methodically and precisely with crisp edges and perfect coverage to ensure perfection. New York Painting Services power washing service is ideal to get your school’s exterior to the highest level of clean possible. Getting the parking lot, playground, the surface of the school, and more clean, removed of filth, gum, graffiti, and additional buildup can get your school elevated, clean, sanitized, and deodorized. New York Painting Services drywall services for the school institutions in New York and New Jersey can assist your school for drywall repairs, replacements, or even installations if your are making more rooms and remodeling. No matter what you need, our drywall experts will help you reach your goals. New York Painting Services cabinet refinishing service can turn your drab, deteriorating cabinets into like new cabinets again. With options like crown molding to complete the cabinetry or simply refinishing them with stain or paint, your school’s cabinets will be glisten and shine. No matter what services your school facility is in need of, New York Painting Services specialists can get it done quickly and efficiently. Call New York Painting Services today to get started!